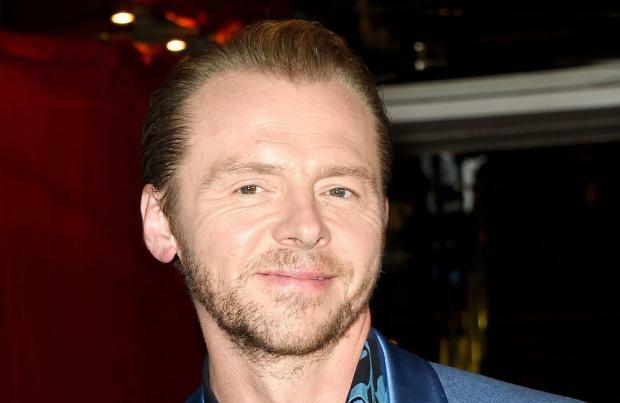 Simon Pegg found it "overwhelming" being on the set of 'Star Wars: The Force Awakens'. The 45-year-old actor has been coy on whether he has a cameo in the eagerly anticipated movie, but admitted he visited the set on several occasions and believes the film will be "extraordinary". He explained: "I spent a lot of time on set, that's for sure, because obviously Pinewood [studio] is just down the road for me. So I went to visit and it was quite wonderful to behold. I'm very, very excited. I think J.J.'s nailed it with aplomb. You only have to watch the teaser to know that. Everything that it promises, it delivers, and more. It's going to be extraordinary." Due to be released in December, the film - which will see Harrison Ford, Mark Hamill and Carrie Fisher reprise their roles - was emotional to film for many of the cast and crew because of the franchise's legacy. He told Total Film magazine: "There was a great sense of excitement on the set. A lot of the crew's parents worked on the original, and everyone was so invested because they cared so deeply about it. "It's overwhelming. There were tears often shed from various people. I remember Kevin Smith came to visit and he saw a Stormtrooper and started crying! It means so much. It's such an incredibly weighty thing, in terms of cinema. It's why we are where we are right now, for better or for worse. It has great significance for all of us."